Evan DeLucia is the Director and Founder of Global Change Solutions. 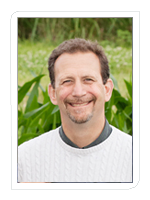 With formal background in ecology and plant physiology and extensive research experience in carbon and nitrogen biogeochemistry and water use by vegetation, DeLucia provides strategic leadership and management for GCS. DeLucia focuses on driving the company's growth and developing new products and services. DeLucia earned his MS in forest ecology from Yale University and his PhD in eco-physiology from Duke University. Currently, he is the G. William Arends Professor and Director of the School of Integrative Biology at the University of Illinois. Learn more about Professor DeLucia here. 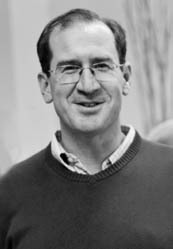 Stephen Long is co-Director and co-Founder of Global Change Solutions. 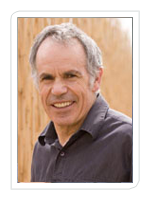 Long has made seminal scientific contributions to understainding the response of vegetation to global change and the potential of energy crops to mitigate global change. He has developed mechanistic mathematical models relating environmental effects to photosynthesis and he provides intellectual leadership to GCS. Long maintains active collaborations outside the US, including Australia, Brazil, France, Italy, Japan, Switzerland and the U.K. Long earned his Ph.D. in Plant Sciences at the University of Leeds (U.K.), he is the Gutgesell Endowed Professor of Plant Biology and Crop Sciences at the University of Illinois and he serves as the Deputy Director, Energy Biosciences Institute. Learn more about Professor Long here. Tim Mies received his B.S. in Agriculture, with emphasis on agricultural mechanization. He has been manager of the EBI's 340-acre Energy Farm since 2007, where he coordinates research efforts between the institute's multiple field programs and assists in the design, implementation, and instrumentation of their research. Prior to that, he was senior research engineering in the Department of Crop Sciences and worked as specialist in Controlled Environment Areas for the University of Maryland, Department of Natural Resource Sciences and Landscape Architecture. 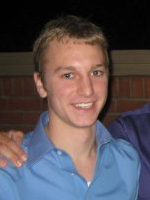 Alex Bohleber holds a degree in technical systems management from the University of Illinois. He is developing GCS TreeHugger's data logger, base station, and CSV Viewer. His current projects include updating the website to accommodate products, shopping carts, checkout, and the GCS CSV Viewer, expanding features of the base station, and designing various sensor packages to be paired with the multi-purpose data logger. Alex's interest focus on providing high quality data acquisition methods in an easy to use and quick to install package, processing and delivering data in user-friendly interactive applications, and providing superior sensor solutions. Chloe Mattia is a junior studying Natural Resources and Environmental Science at the University of Illinois, with a focus on resource conservation, restoration ecology, and quantitative and spatial methods. 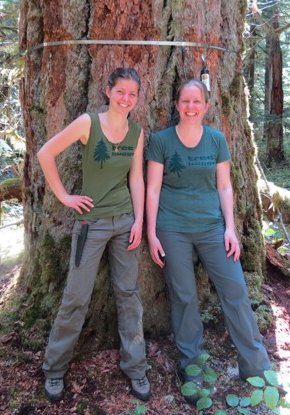 She is utilizing geographic information systems technology to map land use changes relevant to ecological modeling. Courses abroad in New Zealand piqued her interest in agro-ecology, and she is conducting her undergraduate research project at a savanna-based agroecosystem site in the South Farms of the university. Benjamin Duval is a Research Scientist for Global Change Solutions. 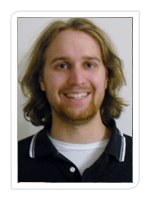 Ben's background is in soil ecology, with a focus on nitrogen and micro-nutrient biogeochemistry. Ben uses a suite of methods to understand how humans influence the environment. This includes but not limited to: computer modeling, state of the art chemical analysis of plants and soil, and traditional mud-and-boots ecology. For GCS, Ben is currently working to understand the greenhouse gas budget of shifting a landscape from cattle production to a plantation devoted to biofuel crops in Florida. Ben is an alumnus of The College of Wooster, has a Master's degree from New Mexico State University and holds a PhD from Northern Arizona University. You can see pictures of Ben's work and a full publication list at benjaminduval.net. Wes Maurer holds a degree in environmental science and is a recent graduate from the University of Illinois' master of urban and regional planning program. He is utilizing geographic information systems technology to map past, present and future land uses relevant to climate change modeling. Having worked as a Natural Resources Specialist with the U.S. Peace Corps between 2008 and 2010, Wes maintains a professional focus in environmental planning, policy and research. Chris Schauer is a recent graduate from the University of Illinois with a degree in computer science. He is developing the web application that will make the project's "greenhouse gas value calculator" accessible to the public from a web browser. He is particularly interested in the fields of graphics programming and artificial intelligence.